These circular coffee tables are a great choice if you want to create a simple, but striking, look in a reception area or breakout space. 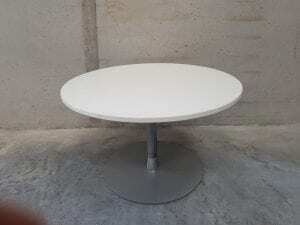 Round tables are perfect for employees to catch up over a break, or for visitors to sit and relax. If you are interested in buying these tables or would like any further information, please contact one of our sales team on 07944 508282, or click on the Telephone Icon on your mobile device.